Green spaces are a beautiful addition to any concrete dominated areas. If even the largest cities in the world go over the top to add a bonus of beauty to their parks, why shouldn’t you do the same for your garden? The answer is that you should do exactly that. First of all, start with lightning. 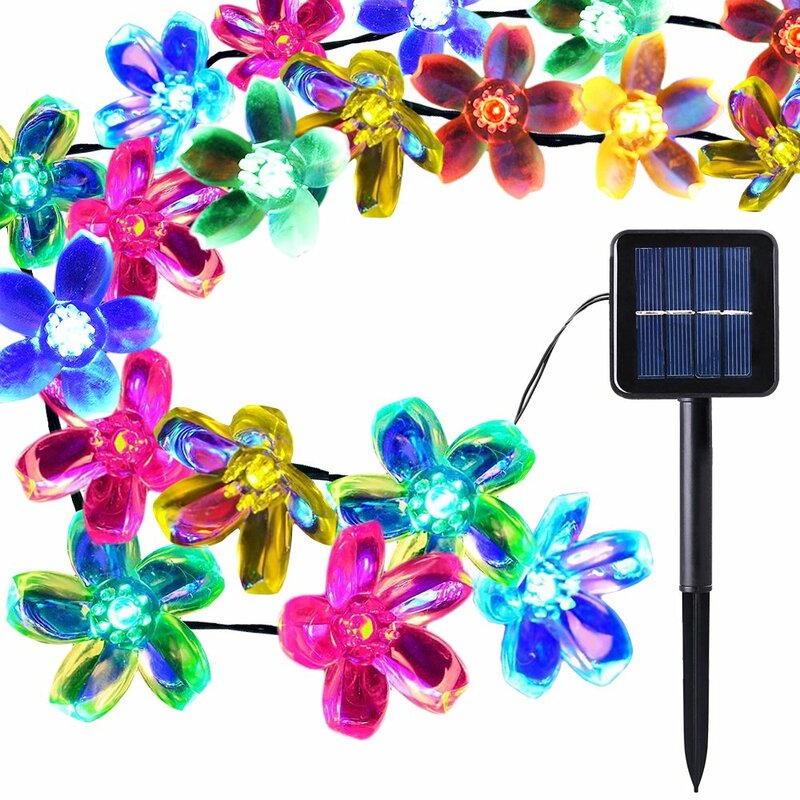 Solar garden lamps are a great first step towards transforming your backyard into a fairyland. 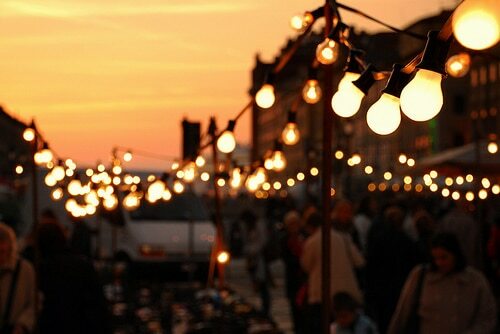 On that note, we have compiled a list of the most beautiful solar garden lamps out there. Feel free to use these ideas in order to create your own corner of paradise. This first example of garden lights is the most common out there. You can stick them directly into the ground anywhere you like. Usually, they come in packs of ten or more, so you have plenty to scatter around your backyard. Each one features a bright LED at the top that uses solar power to recharge. Once installed it will turn on automatically at sunset and turn off at dawn. Also, the LED can burn brightly for about 8 hours or more after a full charge. If you want to keep it as simple as possible, this suggestion is best to fit that need. 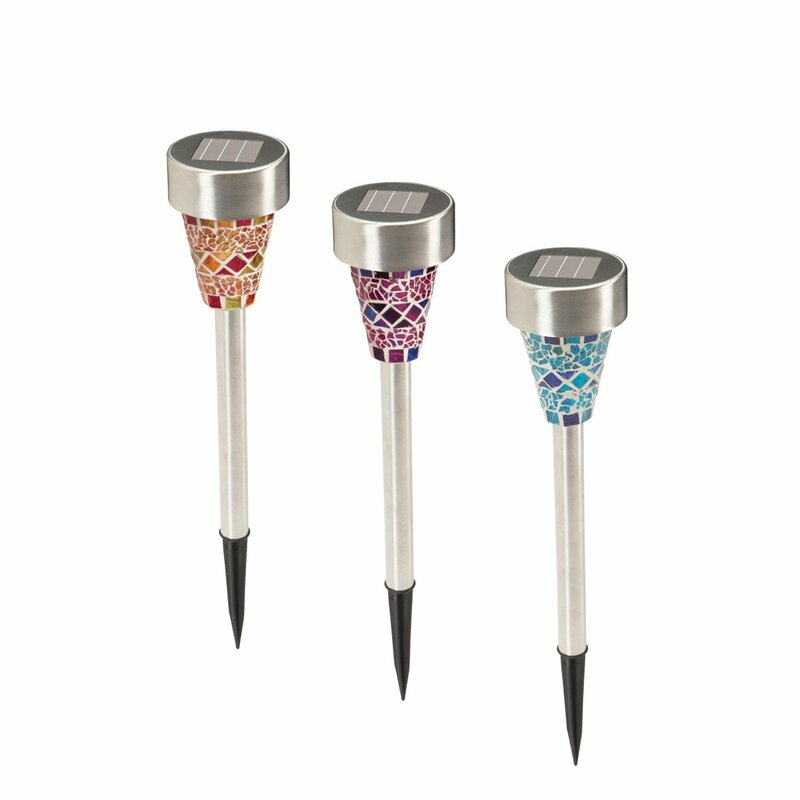 This particular example of solar garden lamps features a more intricate design. 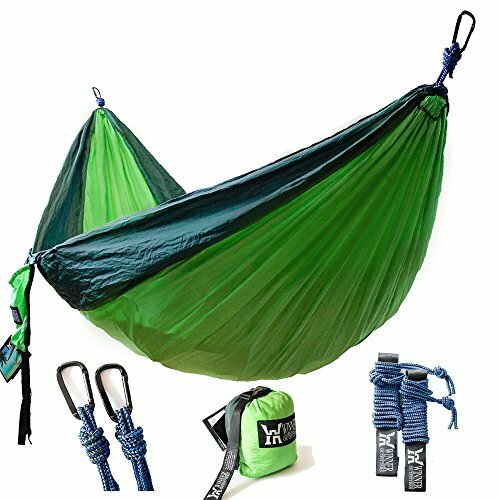 If you’re looking to add more color to your green corner, this is the way to go. If you already have a bed of flowers somewhere in your garden, this is even better. Although it is not much different from the simple design, the mosaic glass at the top of the rod takes lighting to a new level. These lamps usually come in packs of three. Despite the simple garden lights that you can use to light up your driveway, these ones focus on decorating specific areas of your garden. Too much color can sometimes distract, so try to keep it as contained as possible. 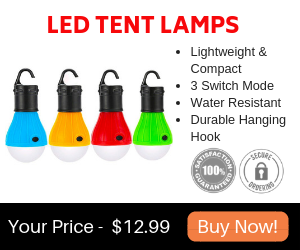 If you’re looking for something other than the classic style solar garden lamps, this might catch your eye, literally. This model features a ball of glass at the top that houses a 7 cycle color-changing LED. Also, the rod is made of metal for an extended durability. Other than that, it works just like any other garden lamp out there. Stick it firmly into the ground anywhere you like, and that is all. 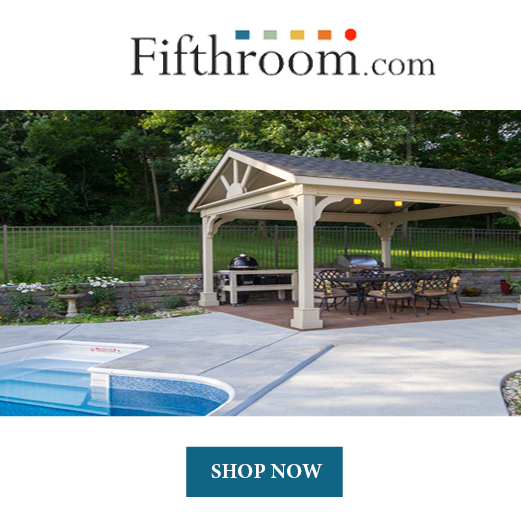 Easy to install, no maintenance, no worries! This type of garden lights is nothing like you’ve ever seen before! If you benefit from a large garden and have some trees or tall plants, these garden lights will fit in perfectly. You can hang these beautiful glass water drops anywhere you like. Since you can’t stick them into the ground, you have to connect every light to a solar panel. All that remains is for you to find a spot that benefits from the most sunlight and wait for the night to fall. 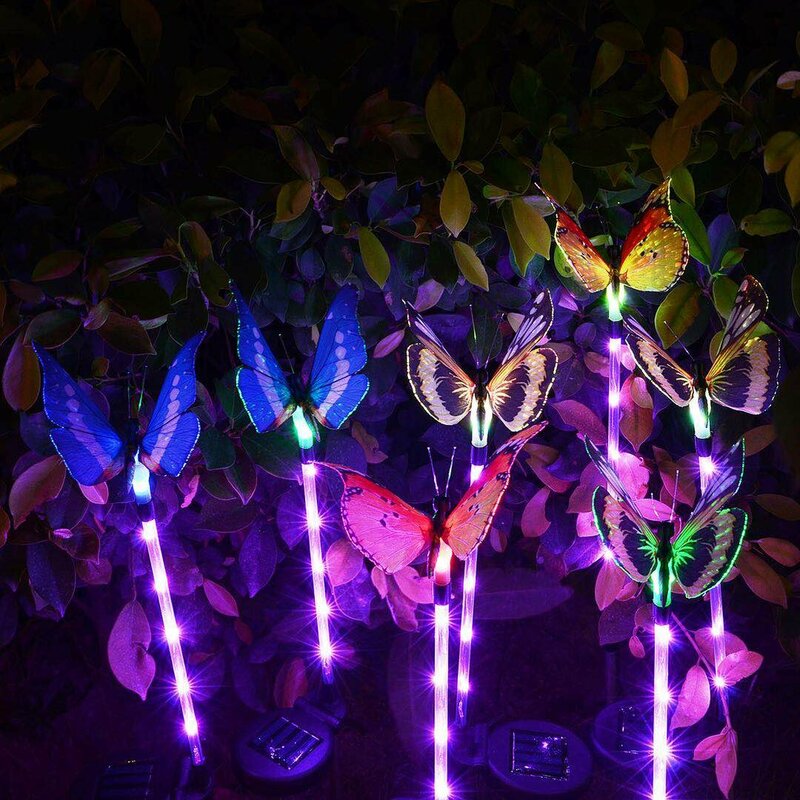 In order to turn your garden into a real fairyland, you can use the butterfly-shaped solar garden lamps. 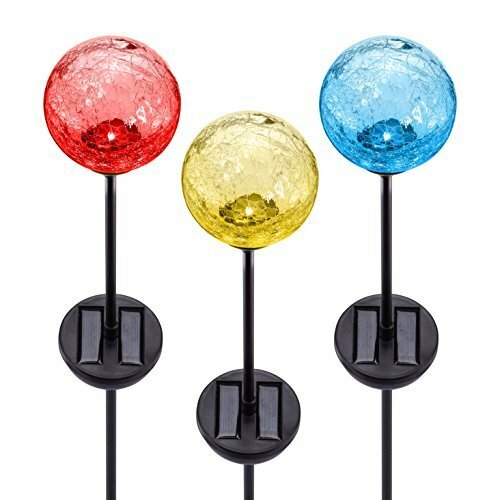 With these colorful types of garden lights, you can think of them as magical creatures roaming around in your backyard. Your friends and family will love them. Like all the other garden lamps before, choose the perfect spot and install them anywhere you please. 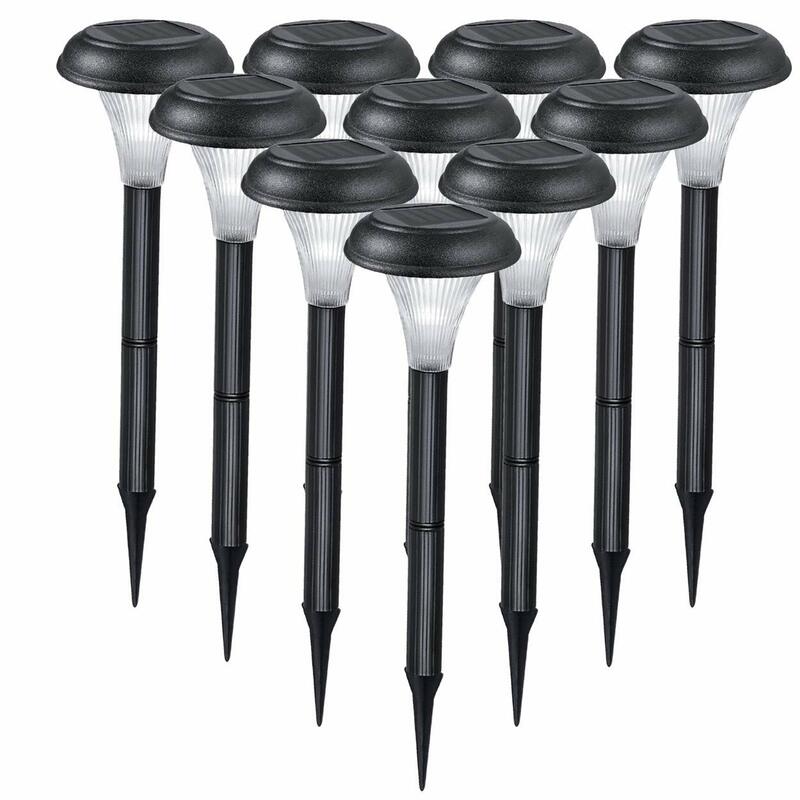 Solar garden lamps are a great way to adorn your backyard, driveway or any other space around the house. No matter if you’re going for the most common design or the most unusual but fun, it will make a great addition to your household at the end of the day. A little bit of light and color can only liven up the place and add a touch of personality altogether.